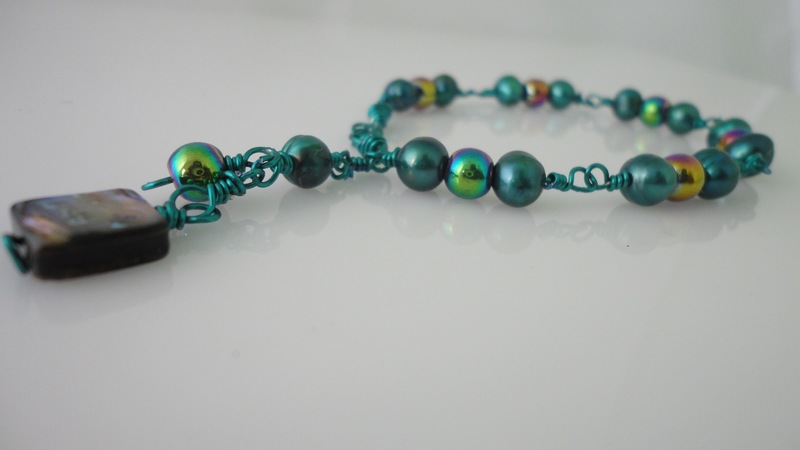 A hand made delicate yet striking bracelet that reflects the colours of the Mediterranean. 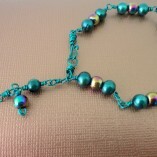 The teal pearls and lustrous Mother of Pearl are perfect for the Summer months. 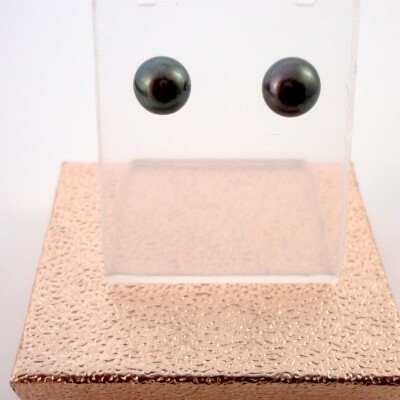 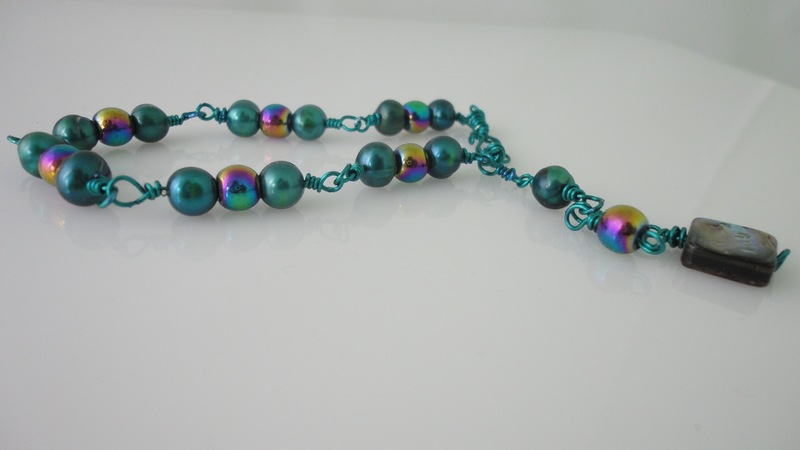 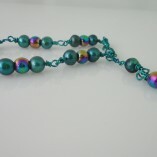 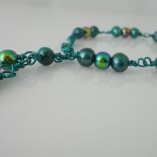 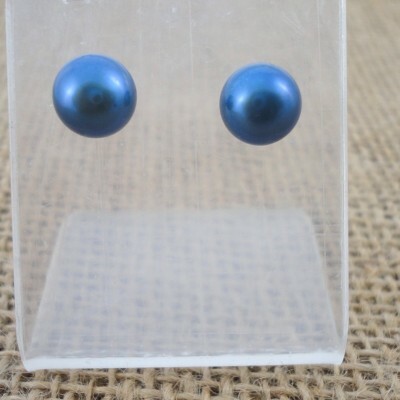 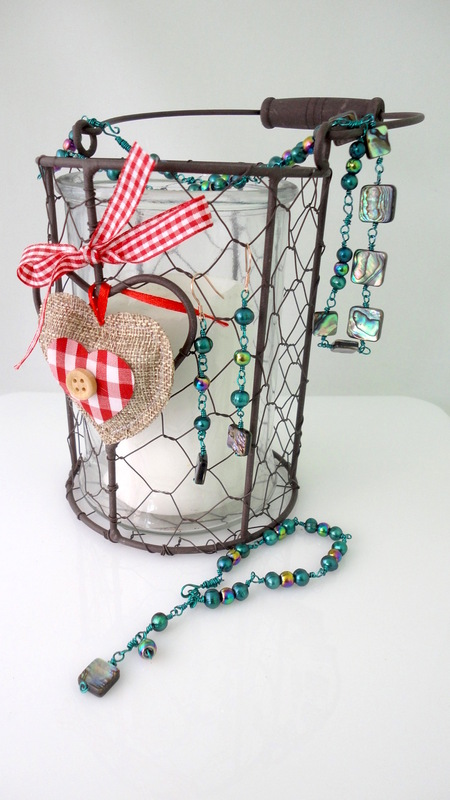 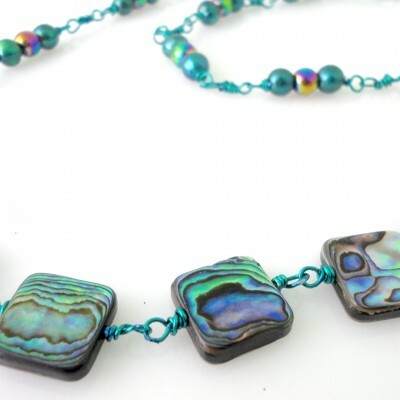 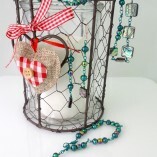 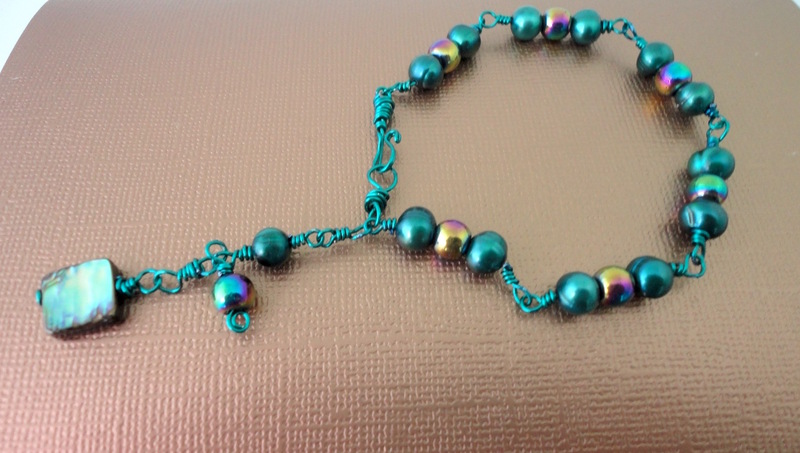 The vibrant teal coloured cultured pearls are almost metallic and are partnered with rainbow coated Haematite beads. 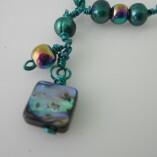 The lustrous, iridescent peacock hues of blues, purples and greens are beautifully completed with a double sided Mother of Pearl charm. 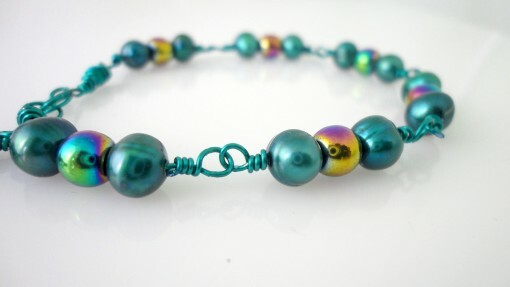 This bracelet shimmers with the deepest colours of the Mediterranean ocean. 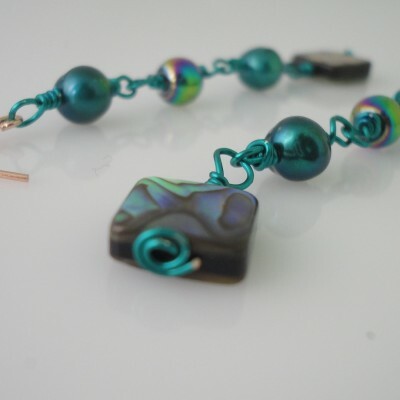 If you are looking for a one-off piece of jewellery then this is it, even the clasps are hand made using unusual turquoise coloured wire. 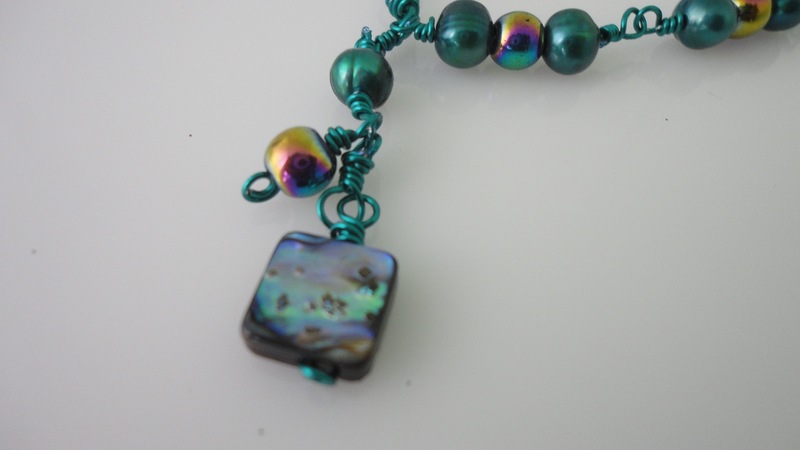 This stunning bracelet showcases nature’s beauty from the land and the sea. 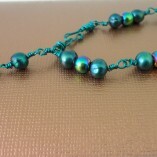 and is a great Summer accessory. 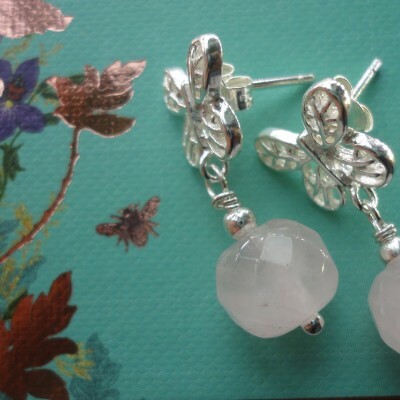 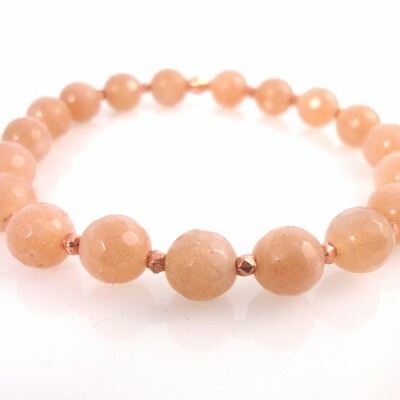 The gemstones have been ethically mined and sourced.